7 years ago Steve Jobs put forward something which will combine an iPod, a phone and an internet communication device and he said, ” an iPod, a phone an internet communication device, these are not three separate devices, this is one device and we’re calling it iPhone.” Jobs rephrased this fact several times that his company has changed the computing, the way people listen to music and the music industry and a lot more. But looks like now, the things are going to change very soon. Till now, iPhone used to be one single standard to determine the difference between different classes of phones, as there were just two kinds of smartphones, iPhones and all the rest. But, now as the number of smartphone users are increasing worldwide very rapidly and people are demanding more features of a computer, a camera and multimedia and less features of as phone, it is very crucial that manufacturers keep a track of the latest trends and follow them, and looks like Amazon has done exactly the same, with the launch of their debut smartphone, called as the Fire Phone. 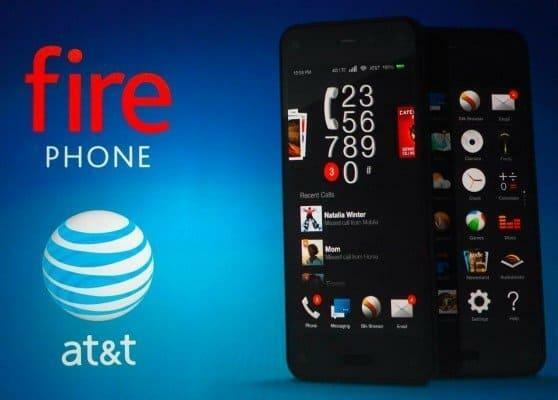 And the phone is breathtaking with a lot of features and available for $199 through AT&T for a two year contract. So, let’s take a look at the top 7 features of this amazing phone. The all-black Fire phone features a machined aluminum design with a Gorilla Glass 3 display. and rubber frame, which should be enough rough and tough and provide resistance to shocks. While the 4.7-inch IPS display on the Fire phone isn’t the highest resolution (just 720p), it has a rated brightness of 590 nits, which would make it the brightest among smartphones. But due to a circular polarizer, the display won’t disappear if you’re wearing polarized sunglasses and you tilt the phone to landscape mode. the phone is powered by a 2.2GHz Snapdragon 800 quad core processor, an Adreno 330 GPU, 2GB RAM, and 32GB of storage, though you can grab a 64GB variant for an extra $100. Talking about the measurements the phone is having a dimension of 5.5 x 2.6 x 0.35 inches and weighing 5.64 ounces, heavier than Galaxy S5 or HTC One M8. 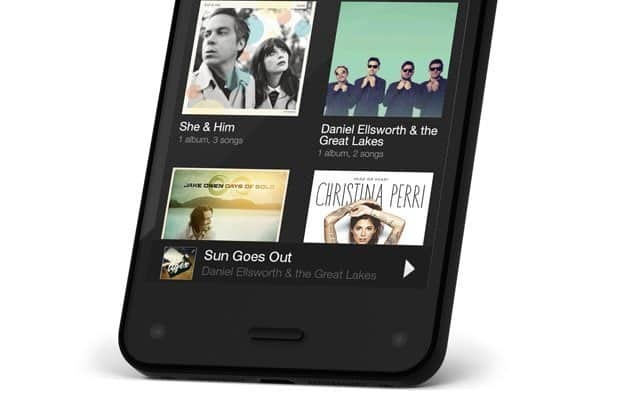 Amazon says the Fire phone’s 2,400-mAh battery will last up to 11 hours on video playback. 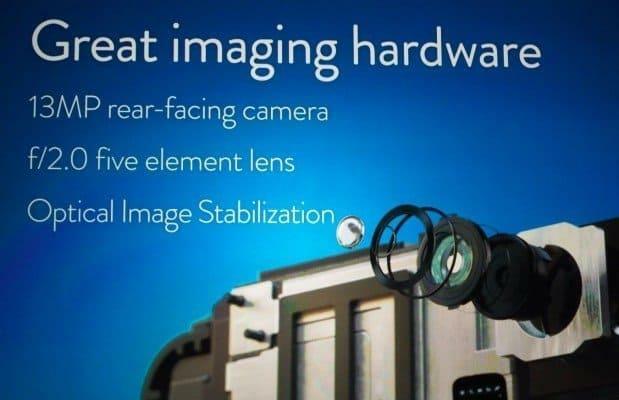 The rear camera on the Fire phone has a 13MP lens, pretty similar to Samsung Galaxy S5, but with a faster f/2.0 lens and optical image stabilization, the phone will better be able to take images in dark. The Fire phone will also have a dedicated shutter button, so that users will be able to take photos quickly from anywhere in the OS. And the best part, Amazon will offer free unlimited photo storage on Amazon Cloud Drive. That’s quite similar to Apple, but Apple does not provide unlimited storage and in case of videos the unlimited storage is not applicable. The Fire phone will feature Amazon’s X-Ray for music, just like the HDX tabs from Amazon and will support slinging to a second screen, such as Fire TV. Like the Fire TV, it will use predictive caching to anticipate your favorite shows and pre-buffer them so that you can stream them instantly. 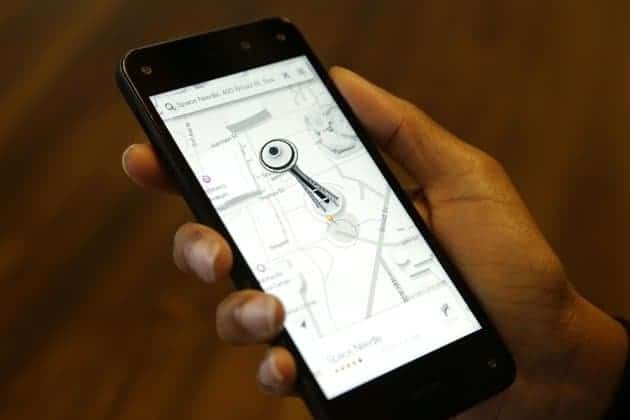 The Fire phone will have dual stereo speakers with Dolby Digital Plus for virtual surround sound, and come with magnetized earbuds and flat cables, which are intended to prevent tangles. 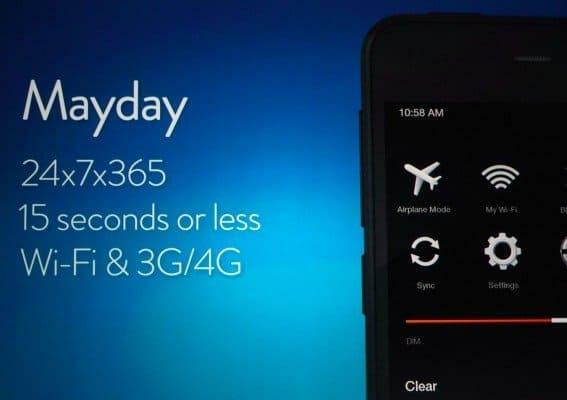 Mayday support is also coming to the Fire phone, just like it used to be on Fire Tablets. This feature will work over 4G, and calls will be answered in seconds. Additionally, if you have an issue with AT&T’s service, Mayday will hand off the call to AT&T customer support. 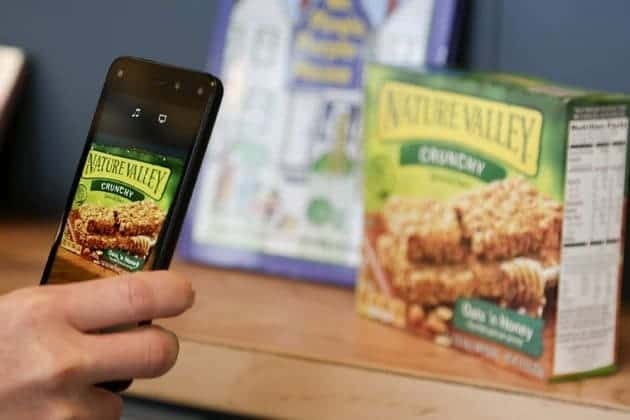 Using the camera, FireFly can recognize products — be it a book or some products you wanna buy at the departmental store, it can recognize everything, at a blink. You can just direct it towards some music in the background and it will redirect you to Shazaam or IMDb. It can even recognize videos, in the demo it recognized a scene from “Game of Thrones,” and displayed a link to its IMDB page, as well as links to purchase or rent the episode. If you take a photo of a piece of art, FireFly will also bring up information about the painting, artist via Wikipedia. Users will be able to access FireFly via a dedicated button just below the volume controls on the left side of the phone, which will work even from the lock screen. It’s like Apple’s Parallax feature on steroids. 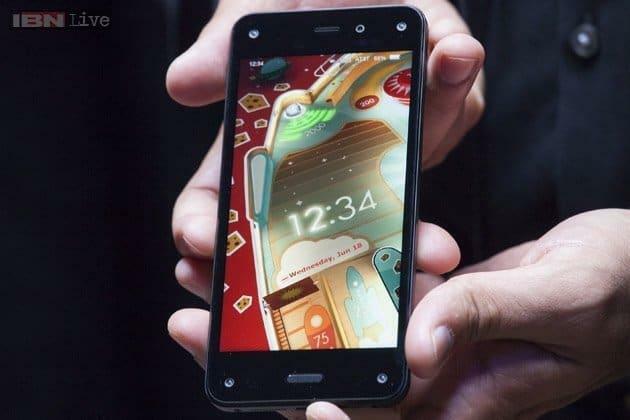 With four cameras mounted at each corner, the Fire phone detects where a user’s head is in relation to the phone, and then adjusts what appears on screen accordingly. On the lock screen, for instance, you can tilt the phone to see different aspects of images, which are redrawn in real-time. Apart from making images look cool, though, Dynamic Perspective will let you scroll through Web pages and documents simply by tilting the phone; the more you tilt, the faster it will scroll. It’s also used in maps and games to create a more immersive environment. Each of the cameras has a 120-degree field of view, and works using infrared technology so it can track your face, even in the dark. Using Global shutter technology, the lenses are 10 times as efficient as more traditional cameras, and will only turn on as needed.